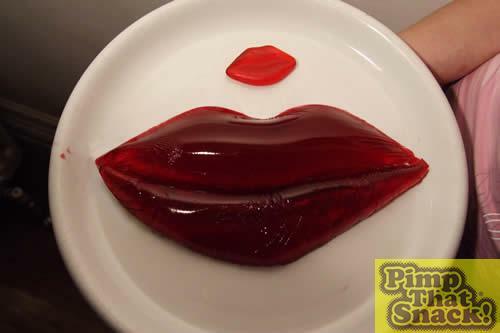 After a lot of thinking, I decided to make a giant version of those Jelly Lips you get in Pick 'n' Mixes. 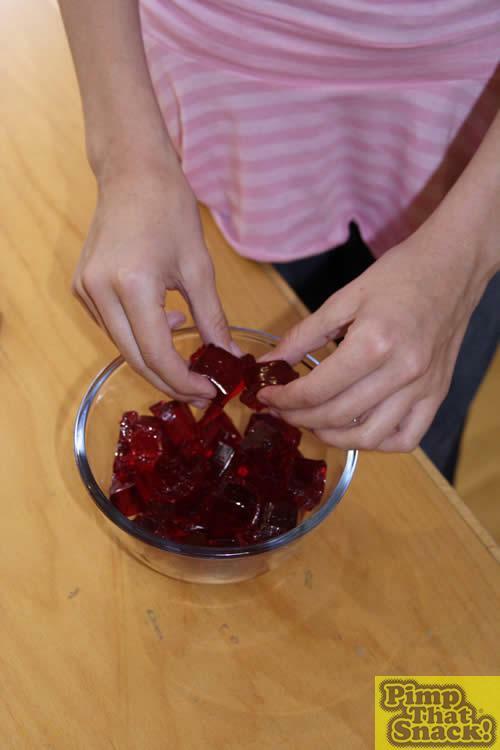 First you have to unwrap the jelly, then break it into cubes and but it in a glass bowl. 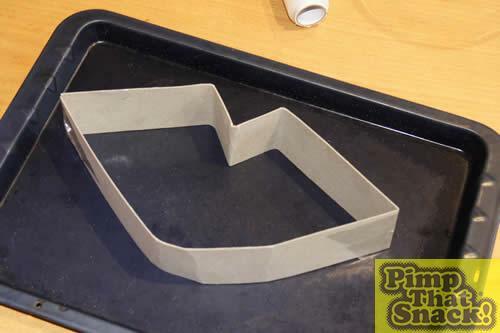 Make a vaguely lip shaped mould like this out of cardboard and tape to a tray. Now get a large-ish sheet of clingfilm. 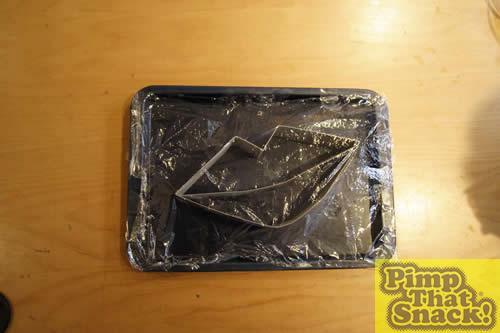 Tape it over the mould like so, not too loose, but not too tight. Trust me, I can't really explain why. Then use that glass bowl on saucepan with water method that you use when melting chocolate. Or you could microwave it. 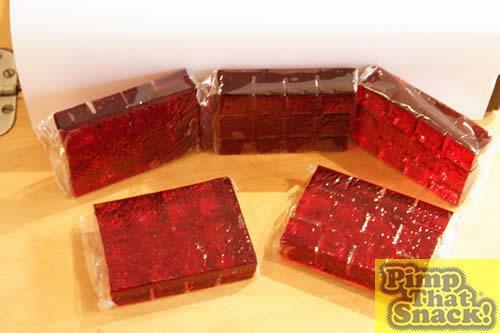 Melt the jelly without adding any water like it says on the packet. When it's just gloop with no solid bits, pour it on the mould (the clingfilmy bit). Put in the fridge and watch a few episodes of friends. 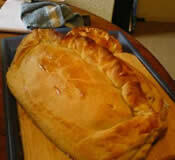 When it's set, take the clingfilm off the mould and place on a plate so the jelly is touching the plate. 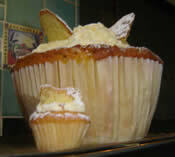 Now prise off the clingfilm. Beware, this is very sticky, if you put it down, you will literally have to pull it off, but luckily it's rather rubbery and doesn't break. If one or both of the lips get screwed up, you can melt them and try again. :) Voila! Giant lips!